“At this stage I can offer nothing more than my word. I am a senior government employee in the intelligence community. I hope you understand that contacting you is extremely high risk … This will not be a waste of your time.” This was the first anonymous email that filmmaker Laura Poitras received from Edward Snowden, then still working for the National Security Agency. 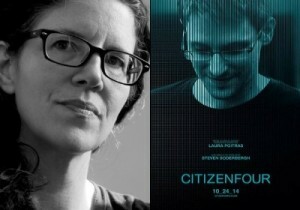 Snowden hoped to expose the NSA’s massive domestic and international surveillance apparatus, and initially used the alias “Citizenfour.” That’s also the name of a new documentary about Snowden by filmmaker Laura Poitras. In a Hong Kong hotel room with whistle-blower Edward Snowden, Laura was present the first time he met directly with journalists to leak a trove of secret documents. Snowden’s story is of great relevance to everyone, helping to illuminate the darkness. Take a look at Democracy Now’s coverage of the film.